Costs – Find local cost information for tree maintenance and tree or stump removal in Grand Rapids, Michigan. FAQs – See which trees you should or not plant in Grand Rapids, along with the current regulations for trees in the city and more. Services – Contact a tree pro now! How Much Do Tree Services Cost in Grand Rapids? Grand Rapids, Michigan, is known for its thriving industry, energetic nightlife and diverse culture, yet it is also an appealing destination to tourists because of its natural beauty. In addition to its famed river and dazzling skylines, the city boasts around 20,000 park trees and 62,000 street trees which greatly add to its energizing atmosphere. Trees, however, sometimes need maintenance and property owners in Grand Rapids should be aware of the expenses maintaining them may entail. The average cost of tree and shrub removal in Grand Rapids is $740. Some customers can pay as little as $600 for tree and shrub removal services, while others can pay up to $880. The cost of grinding down a large stump in Grand Rapids ranges between $20 to $60 for labor and between $65 and $80 for stump equipment allowances. In total, the average cost of grinding down one stump is between $80 and $140. The average cost of maintaining, pruning and trimming trees and shrubs in Michigan is $159, which is considerably lower than the national average of $575. Homeowners in the area have paid as little as $115 and as much as $195 for these maintenance costs; however, most Michigan homeowners typically spend between $148 and $170 for trimming and pruning services. So many different varieties of trees can thrive in Grand Rapids that property owners are almost sure to be able to find a tree that suits their needs and desires exactly; however, before individuals begin planting, there are a few things that they should consider. Tree protection regulations require Grand Rapids residents to try to preserve existing trees larger than 4 inches in caliper when erecting new buildings in most areas. 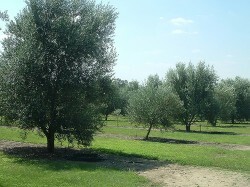 Property owners can also choose to relocate trees to other onsite locations. Unusually tall trees and trees that have grown around power lines may be more expensive to maintain than other trees. When trees extend into power lines, companies must be more careful about how they lower branches. The extra time they spend doing this can add up to considerable costs for their customers. If possible, property owners should have trees trimmed or removed before they grow too close to power lines or living structures. Michigan’s state tree is the Pinus strobus, also known as the Eastern white pine. This tree thrives in cool, humid climates and has the distinction of being the tallest kind of tree in the eastern part of North America. 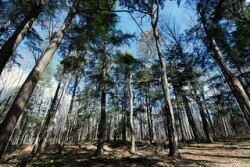 Some Eastern white pines have lived for nearly 500 years. This is due, in part, to the fact that they are slightly fire resistant. Trees suited for warmer zones may have a difficult time thriving in the city. 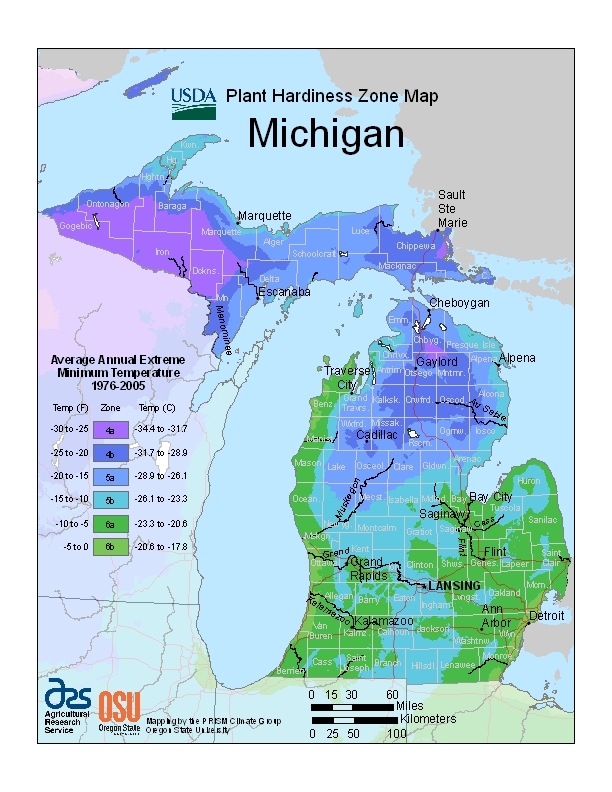 Among the trees that are unlikely to thrive in Grand Rapids are olive trees, crape trees, Italian cypress and key lime trees, which thrive in warmer temperatures and do not hold up well against snow and frost. Trees in the area are plagued by diseases as well, including emerald ash borer, maple chlorosis, apple scab, leaf gall and evergreen needle shed.